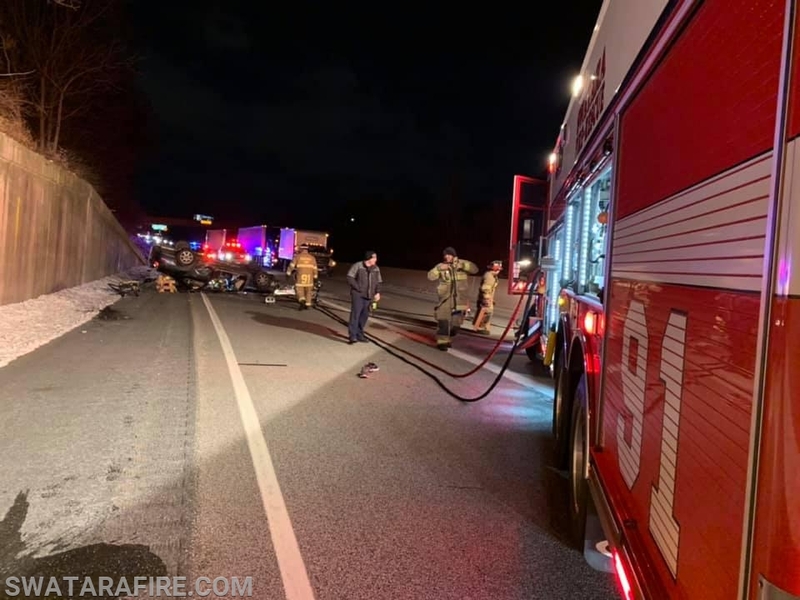 Late this evening, units were dispatched to Interstate 83 North just prior to the 32nd Street offramp for an MVA w/ Confinement. Rescue 91 (Lt Oliver) & Engine 91 arrived confirming one on its roof with one confined. Crews began stabilization and patient assessment. Rescue crews removed the drivers' door to free the trapped occupant. With the incident under control the 2nd Rescue Company was cancelled. Units cleared shortly after patient care was transferred to EMS.